As chair of the firm’s Real Estate and Land Use Department, Gary B. O'Connor's practice focuses on real estate, land use and environmental matters. He has extensive experience in all aspects of complex industrial and commercial real estate transactions, particularly those impacted by environmental conditions. Gary is experienced in the fields of regulatory compliance and permitting. He has worked closely with regulators from DEEP, EPA, U.S. Army Corps of Engineers and local agencies on behalf of his private and public sector clients. Moreover, he has successfully negotiated major federal and state grant and loan agreements in connection with large-scale public and private remediation and redevelopment projects. Gary has represented the public sector in the creation of a major airport authority, the closing of one of the largest real estate transfers in Connecticut and the development of regional malls, magnet schools and large urban renewal projects. He has successfully handled complex eminent domain cases on behalf of municipalities. Gary has also represented private developers in connection with the acquisition, remediation, land use permitting and construction of large commercial and residential projects, many of which are located on former brownfield sites. Gary currently serves as co-chair of Connecticut's Brownfields Working Group, and has been one of the leaders in Connecticut in revising state environmental laws. He served as co-chair of the Environment Committee of Governor Dannel Malloy's Transition Team. Gary is presently working with the Governor's Office and leadership of the General Assembly to create a comprehensive brownfields initiative in the state. 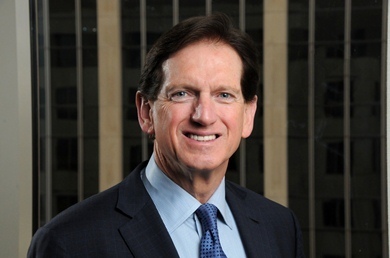 Gary was instrumental in establishing the Office of Brownfields Remediation and Development, which serves as the clearinghouse for state brownfield issues. Gary is a LEED Accredited Professional. LEED is an internationally recognized green building certification system, developed by the U.S. Green Building Council. Throughout his career, Gary has counseled clients in the health care industry on regulatory, transactional and business matters. Currently, Gary represents a national EMS provider, physicians and related health care practices. Represents the newly established Connecticut Airport Authority (CAA) in connection with all real estate, land use, permitting and environmental issues relating to the transfer of Connecticut's airports from the Department of Transportation to CAA. Successfully represented a major Connecticut municipality in litigation against claims of violations of the Environmental Protection Act, the Clean Water Act and other environmental laws. Serves as counsel to a municipality in connection with the remediation and redevelopment of a former blighted industrial area into a mixed use development which includes a regional retail outlet center, restaurants, hotels and residential housing. Represented an industrial developer in the purchase from a major mortgage-backed security pool of a mortgage encumbering a large industrial property; negotiated with the former owner for an uncontested foreclosure of the mortgage and an assignment of the owners assets to the client; and successfully reached an agreement with the former tenant of the property to reimburse the client on major building repairs and to remediate the environmental conditions at the property. Represents a regional developer in connection with all land use approvals (i.e. inland wetlands, planning and zoning) relating to the development of a regional retail center which includes national retail stores. Represented regional retail developer in connection with the investigation and remediation of a contaminated site which impacted a significant wetlands area. Negotiated with DEP, EPA and U.S. Army Corps of Engineers regarding remedial and development permits. In addition, represented the developer in connection with all title and land use issues. Represented a regional development agency in connection with all land use, title and environmental issues relating to the development of a $200 million downtown project which included an arts magnet school, a UCONN branch, a 3,000 seat theater, parking garages and related improvements. Represented a major solid waste and recycling facility in the negotiation of a Consent Order with DEEP. Represents regional waste haulers, processors and recyclers in connection with permitting, real estate and land use issues. Represented a regional development agency in connection with the remediation of a 200-year-old industrial complex and development of a one-million square foot regional mall. Handled title and land use issues. Represents a major Connecticut municipality in the redevelopment of a 600,000 square foot industrial building on a large brownfield site. Responsibilities include all land use, environmental and construction issues, dealing with federal and state regulations, and negotiating long-term leases with international tenants. Defended a national EMS provider in an antiturst lawsuit brought by the Attorney General of the State of Connecticut. Successfully negotiated a settlement of the case. Serves as an outside environmental counsel to a major municipality regarding CEPA litigation, landfill closure, well contamination and remediation issues. Served as counsel to numerous businesses involved in CERCLA contribution/recovery actions. Obtained one of the first State grants under the Connecticut brownfields pilot program and represented a municipality in the remediation and demolition of former manufacturing facilities and the redevelopment of the space for new industrial buildings.